Disney World has a wonderful perk for those staying in Disney’s on-property resort hotels: Extra Magic Hours. We speak about them briefly in our How to Create a Touring Plan section of our Guide to Disney World, but I’d like to go into a bit more detail today about one park in particular — Epcot. Don’t be concerned that World Showcase isn’t yet open; you’ll have plenty to cover with just Future World attractions, whose lines get extremely long later in the day and sometimes even during Evening Extra Magic Hours. For Morning Extra Magic Hour at Epcot, arrive 15 to 30 minutes prior to the gates opening. Once you show your key card and go through the gates, head straight to Soarin’ — this is Epcot’s most popular ride. If fastpasses are available, get a fastpass, then choose to either ride Soarin’ without the fastpass (then come back later to ride with your fastpass) or head over to Test Track for a spin around the racetrack! Once you hit those two rides, proceed along to your other favorites! You should be able to cover all of the “big ticket” attractions within two hours if you make good use of your Extra Magic Hour! You’ll see that the World Showcase pavilion attractions have now been added into the mix! Our ideal use of Extra Magic Hours in Epcot is to hit the Future World attractions during morning Extra Magic Hour and save the World Showcase attractions — and shopping your way through the World Showcase — for evening Extra Magic Hours! Why? Because fastpass is usually unavailable during evening Extra Magic Hours. This makes getting a ride on Soarin’ and Test Track very difficult; while parks might not be as crowded as they are during the day, it’s still a safe bet that the majority of the park’s attendees that evening still want to ride Soarin’ and Test Track! Your best bet in the evening: stick to less popular rides until the very end of the evening when most guests have headed home to bed. That’s when it’s most probably that the lines for major rides have shrunk. Epcot is a fun and exciting theme park for all guests, but creative and skillful use of Extra Magic Hours can make your visit much more enjoyable! This blog post is part of the DisMarks Disney Blog Carnival! There are lots more great Disney blog posts and articles there, so check them out! 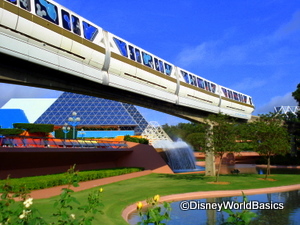 This entry was posted on Monday, May 24th, 2010 at 4:57 pm	and is filed under Planning, Theme Parks. You can follow any responses to this entry through the RSS 2.0 feed. You can leave a response, or trackback from your own site.